It goes on sale in November. 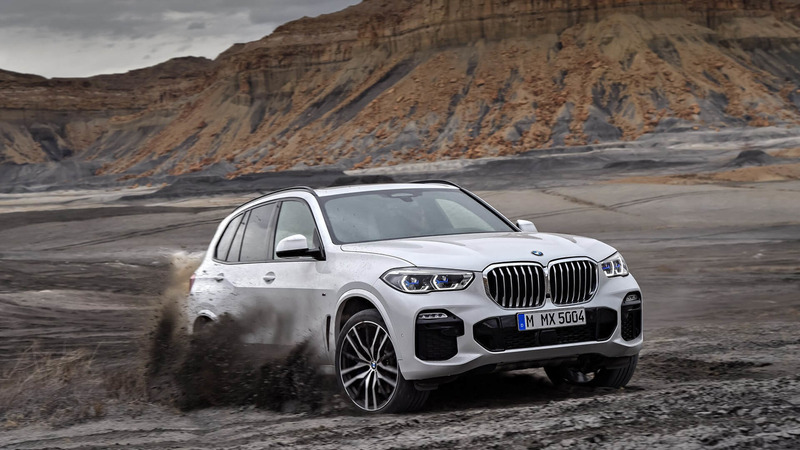 It’s a big day for premium SUVs from Germany with the launch of the Audi Q8 earlier in the day and now the launch of the fourth generation of the BMW X5. 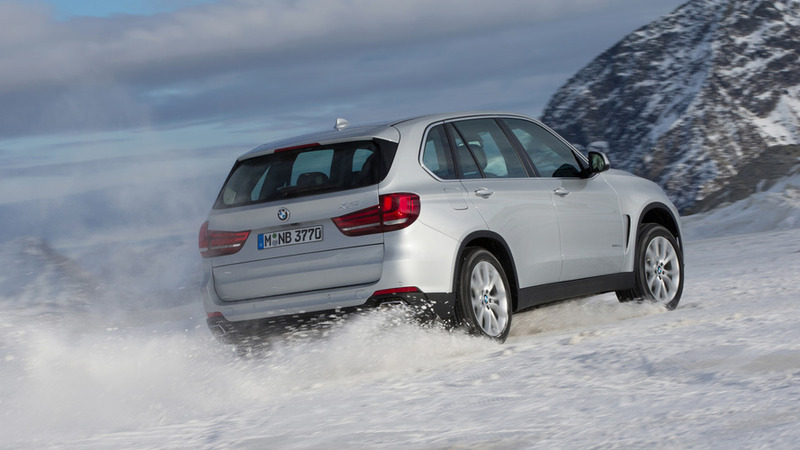 Bimmer’s SUV has a somewhat more rugged look and a whole lot more tech. The new X5 maintains the SUV’s familiar shape but now features a grille with much larger openings. Adaptive LED headlights are now standard, and BMW’s Laserlights are an option. At the back, there’s now a two-section hatch for an easier time loading small items. As an option, both parts can open and close automatically. Inside, there are a pair of 12.3-inch screens – one for the instruments and another for the infotainment. Occupants up front get power-adjustable, heated seats. Ventilation and massaging features are optional for the chairs. Customers can also upgrade to glass controls for the switchgear and a Bowers & Wilkins stereo that has 20 speakers and a 1,500-watt output. If you need to carry more people, a third row of seats will become an option in December. It’ll come with electric controls for the second row bench to slide, tilt, and fold the backrest. 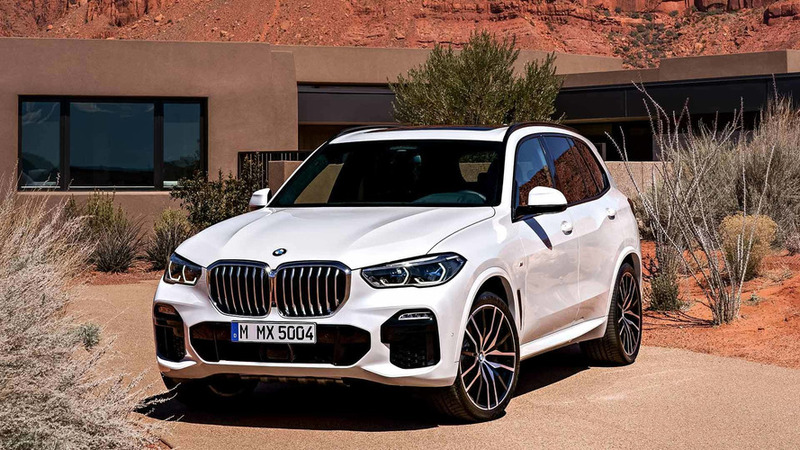 Buyers can choose between the X5 xDrive 40i with a 3.0-liter turbocharged inline six that produces 335 horsepower and can reach 60 miles per hour in 5.3 seconds. The other alternative is the X5 xDrive 50i with a 4.4-liter V8 making 456 hp that can reach 60 mph in 4.6 seconds. Both powertrains come with an eight-speed automatic gearbox and all-wheel drive. A locking rear differential is also an option. The X5 should be rather comfy on the road with standard dynamic dampers. Buyers can also upgrade to the optional Adaptive M Suspension Professional that adds active roll stabilization and rear-wheel steering. In addition, there’s an available air suspension for a more supple ride, and the ability to raise or lower the ride height by as much as 1.6 inches. Driving is also easier with standard driver assistance features like blind spot monitoring, lane departure warning, front and rear collision warnings, pedestrian monitoring, and city collision mitigation. The optional Active Driving Assistant Professional adds traffic jam assist, lane keeping assist, automatic lane changing, and collision evasion aid with steering assist. 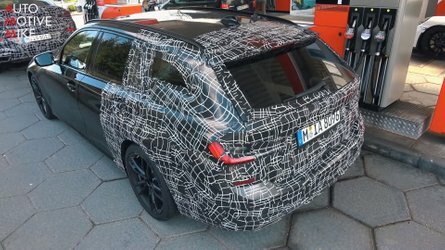 The 2019 X5 will arrive in the United States in November, but BMW won’t announce pricing until closer to launch.  Sculptured styling with increased dimensions and capabilities. 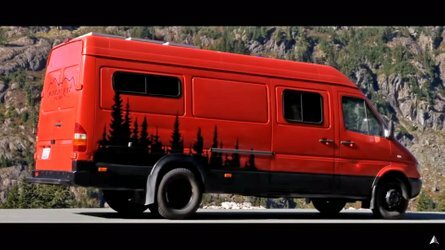  New Optional Off-Road Package with air suspension and new rear locking differential. 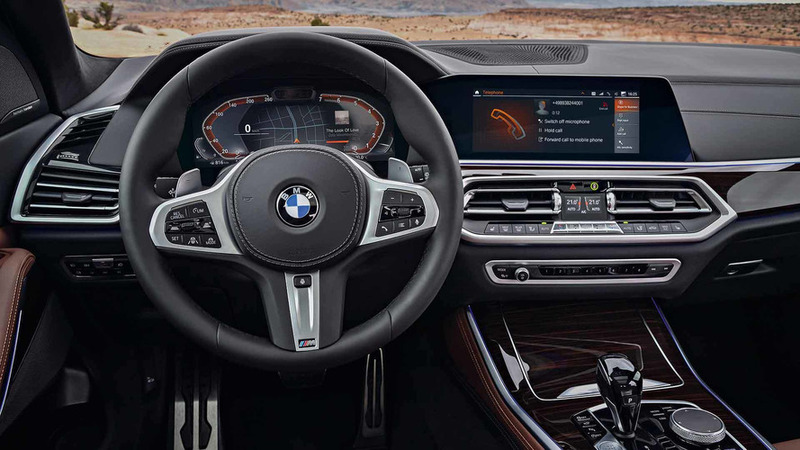  New standard BMW Live Cockpit Professional with two 12.3-inch digital displays.  New standard Active Driving Assistant and optional factory Remote Engine Start. 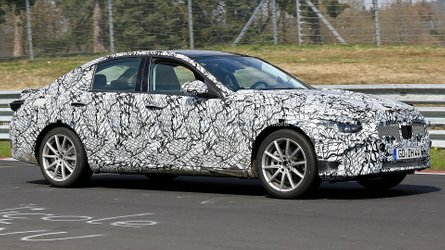  Pricing to be announced closer to on sale date of Nov. 2018.
have been sold worldwide, one third of those sales being in the U.S.
and will soon add the BMW X7. aluminum kidney grille bars, and roof rails and side window surrounds in high-gloss black. Modern and elegant surfacing radiates a feeling of space inside the all-new 2019 BMW X5. The front and rear occupants all enjoy generous accommodation amid an exclusive ambience. up to the instrument panel – contributes to the handsome overall impression. 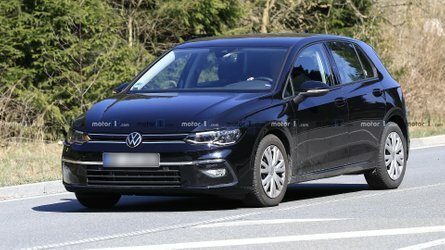 ventilation for the driver and front passenger. interior trim strips in Aluminium Tetragon. running or flashing lighting in the instrument console to alert to an incoming phone call. services can be accessed from the rear seats. Controller, the start/stop button and the volume control button for the audio system. entry/exit into and out of the two third-row seats. progress – on or off road. Auto Start Stop function is activated. 330 lb-ft is waiting to be unleashed from 1,500 – 5,200 rpm. enables even sportier gear shifts. and an electronically controlled rear differential lock. in situations where all-wheel drive is surplus to requirements. drive torque to be redirected from the faster-turning wheel to the slower-turning wheel. 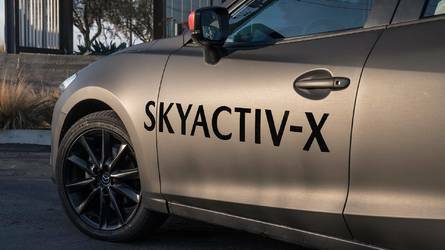 sportier driving style – using the Driving Experience Control switch. parking spots, while also increasing stability when overtaking at highway speeds. surfaces, such as sand, rock, gravel or snow. the road to automated driving. Cross Traffic Alert Rear, and Speed Limit Information. to direct the vehicle into a clear adjacent lane. control speed to the road’s posted speed limit. the BMW Assist call center so the emergency services can be alerted. necessary to maneuver into the space. BMW X5 backwards out of a parking position that it drove into forwards the previous day. based voice control, and gesture control allow users to interact in the way of their choosing. easily accessed with a simple swipe across the screen with your finger. within the tachometer. Additionally, your driving mode will determine your visual display style. and regular updates for the navigation system’s maps. and Real Time Traffic Information and is standard on the all-new X5 for a duration of 4 years. individually as they become available or renew existing services via the ConnectedDrive Store. their smartphone with their vehicle. calculated route directly when the navigation system starts up. The Remote Software Upgrade feature keeps the vehicle up to date with the latest software.